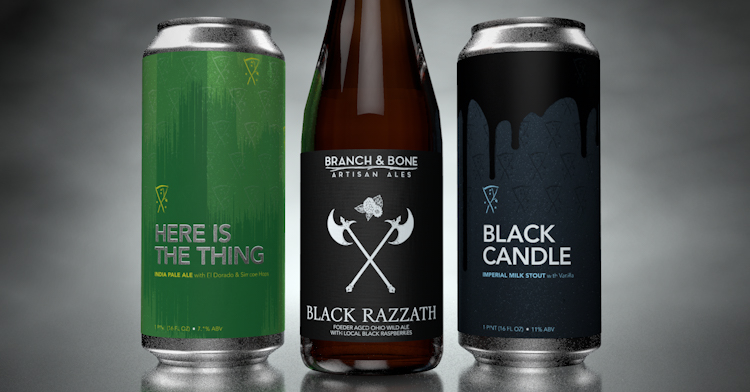 Join us Saturday February 16th for our next release as we unveil the return of Here Is The Thing and a new Imperial Vanilla Milk Stout, Black Candle, in 16oz cans! We will also be releasing bottles of Black Razzath, our Foeder aged Ohio Wild Ale with local Black Raspberries. Our first packaged stout release. This heavy hitter is loaded with vanilla and lactose and has a thick, chewy mouthfeel. All three beers will be available on draft when we open at Noon. Cans and bottles go on sale at Noon as well. Limits will be set morning of the release based on turnout. We are a small brewery and put as much of these beers into cans as our system allows. The goal would be that anyone that arrives by Noon Saturday has the opportunity to buy something. Thanks for your understanding! Hunger Paynes food truck will be set up for lunch service at the release, so be sure to come hungry! Please be mindful of our neighbors around us. Please don't drink in the parking lot as the neighbors will call the police.